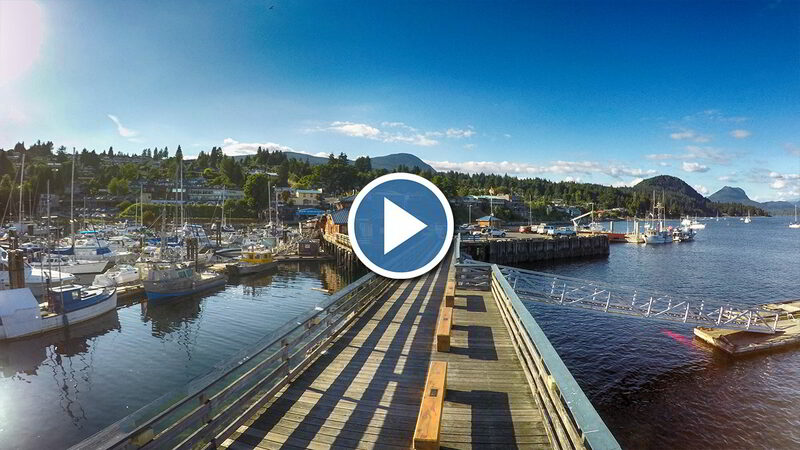 Gibsons, BC is made up of nine different neighbourhoods and each has its own personality. Today we’re exploring Gibsons Landing. Gibsons Landing is where the town’s namesake first arrived over 130 years ago and was also the setting for CBC’s popular The Beachcombers. Today it’s one of the most visited attractions on the Sunshine Coast. Each summer, visitors flock to the area for events like Sea Cavalcade, Canada Day, and BC Day festivities. Paddlers from all over the world descend on Gibsons Landing to compete in the bi-annual International Howe Sound Outrigger Race. Trendy shops and popular restaurants line Marine Drive and Gower Point Road and past Winegarden Park, you’ll fine the Gibsons Public Market. Businesses dominate the waterfront but the neighbourhood becomes decidedly residential as we move uphill. Among the homes are parks, the municipal hall, and the Gibsons Public Library.